It’s almost Fourth of July parade time! Every summer my family enjoys our local Fourth of July activities. 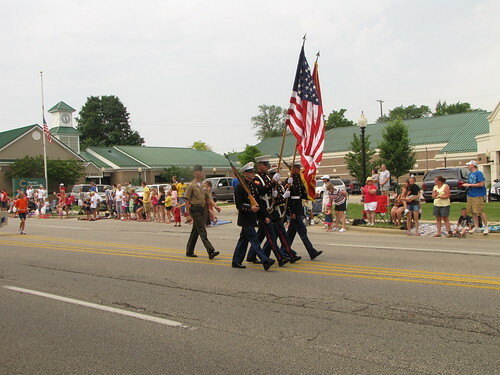 This holiday is one of the more major ones in our town, with a whole weekend full of activities – everything from skydivers to an arts & crafts fair. And the parade, of course. If there’s no other time to get out and show your community pride and spirit, the Fourth of July is it. 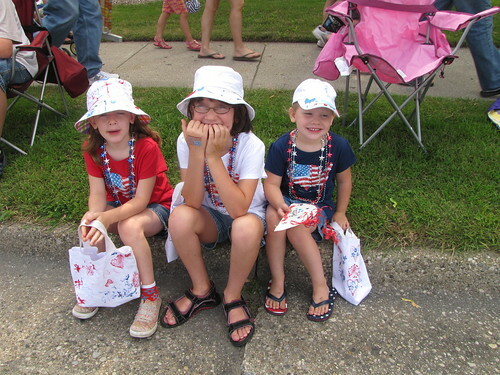 The entire community turns out – with everyone in their favorite patriotic gear. 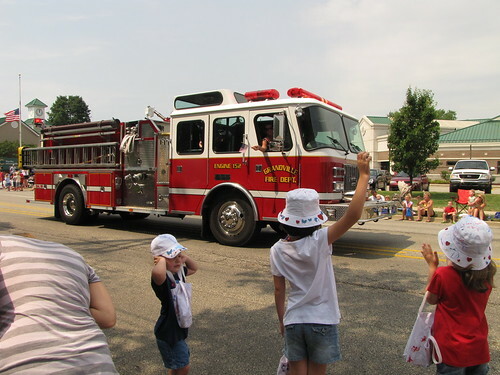 From parade-time until the fireworks light up the sky that night, the whole community parties together. The highlight of my 8-year-old’s time at the parade was seeing the high school varsity cheerleaders march by – she knows several of them from the cheerleading camp that they put on every summer, and their coach is also a local preschool teacher who’s had all 3 of my kids in her class over the years now. See more about Deb and her family at Mom of 3 Girls or follow her on Twitter (@DebMomOf3)!